So digital music sales have stalled this year. It looks like the music industry can go back into panic mode and release their lawyers on unsuspecting college students illegally sharing tunes by the terabyte. I’m not saying that they already have, but we all know that’s a realistic option for the music behemoths. Over the past decade they’ve learned slowly but surely the lengths people will go to hear their favorite Lady Gaga single, whether that’s flirting with accidentally downloading a virus, getting poor quality files, or being caught by the man. How can the music industry raise the bar without tightening their grip around the neck of progress? They’ll have to embrace social networking, the very thing that they’ve been fighting against since Napster almost brought them to their knees. 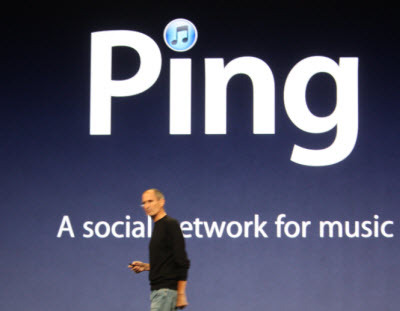 Apple is trying to use their clout as the number one seller of digital music to convince the music industry to embrace such a future with Ping, an add-on to iTunes that allows people to share music. When Ping first came out in early September, it was met with very little positive reviews because it stymied social interactions. However, a recent software update has made Ping a much more social tool that will allow it to climb the ladder of Web 2.0 success. Where will this take the music industry? Hopefully the same place iTunes and video game downloadable content (DLC) took Steve Jobs and console and PC game developers over the past 10 years, which is out of a rut. Where will this take consumers? Hopefully to a place where music is cheaper and more readily available and where new music is discovered every day. Never heard of the group who was “formerly New Zealand’s fourth most popular guitar-based digi-bongo acapella-rap-funk-comedy folk duo”? In the future, if Ping is a success, you and the entirety of your social networks will know who they are before the Lenos and Lettermans of the world can lay a finger on them. Thanks for the comment Arthur. Yeah, I can see how turning the masses into a marketing machine can be considered scary, but I don’t think people mind, just so long as they feel like their contributing to other people’s musical discoveries. This could also open up a whole new avenue for amateur and unsigned musicians to share and sell their music. For a small fee artists could pay more for a specialized service that will target music-lovers in their area. 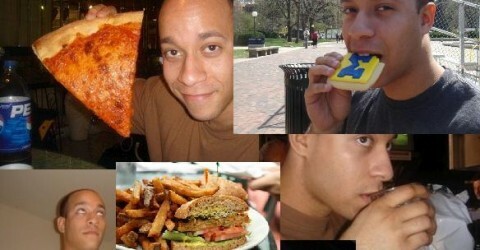 I wonder what other ways this can be profitable in a fun and social way (advertising is way too obvious). We may listen to a lot of music, but it’s how we listen to it that makes the music industry successful or unsuccessful. The music industry cannot survive without embracing our Internet culture of sharing data.